Paperplane Pursuit, Bunkface and Dennis Lau have been chosen to be part of the delegation to the Marche International du Disque et de l'Edition Musicale (MIDEM), the annual event where artistes, technology and brands are connected by music. The event will be held in Cannes, France from 3 to 6 June 2016. “It’s our first time in Europe, and we hope to meet and network with music companies from the continent who can assist us in penetrating the European market,” said the Paperplane Pursuit’s vocalist John O as reported by News Straits Times. 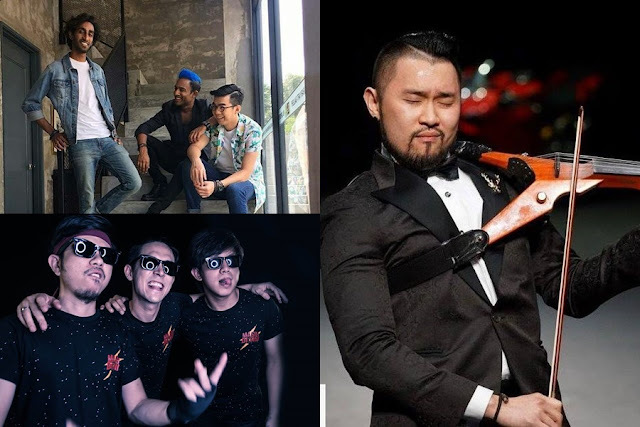 Electric violinist Dennis Lau stated that he will be shooting a music video at Cannes for his new single “Largest Movie” which is a Jay Chou cover. This will be the fourth consecutive participation by Malaysia at the MIDEM which aims to promote the nation's music industry.